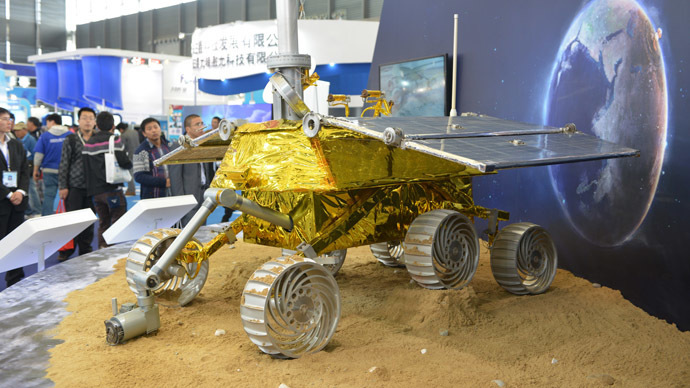 The Chinese moon rover, Yutu (Jade Rabbit), has experienced a mechanical control abnormality, and scientists are organizing repairs. The difficult environment was blamed for the malfunction. 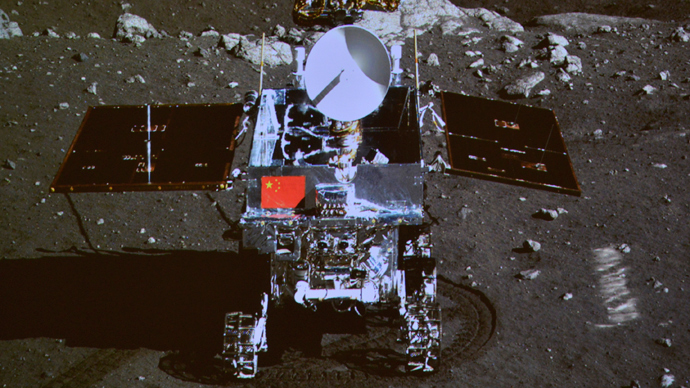 The glitch occurred due to the "complicated lunar surface environment,” the State Administration of Science, Technology and Industry for National Defense (SASTIND) said in a report on the issue. The abnormality occurred before the rover entered its second dormant phase on Saturday after the lunar night set in, while the lander, another part of the mission, also “fell asleep” on Friday. The researchers are currently "organizing an overhaul", according to the SASTIND report quoted by the Xinhua state news agency. The lunar night is equal to about a fortnight on Earth. During that time, the temperature plunges to minus 180 degrees Celsius, and the rover, which is equipped with a solar panel, falls dormant due to lack of sunlight. 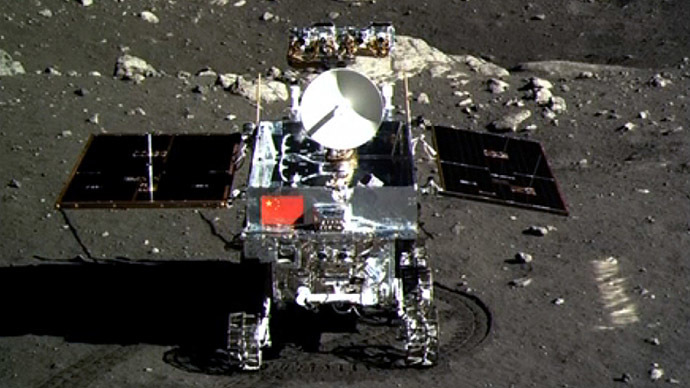 The Yutu rover gets information via its radar, panorama camera, a particle X-ray device and infrared imaging equipment, according to SASTIND. 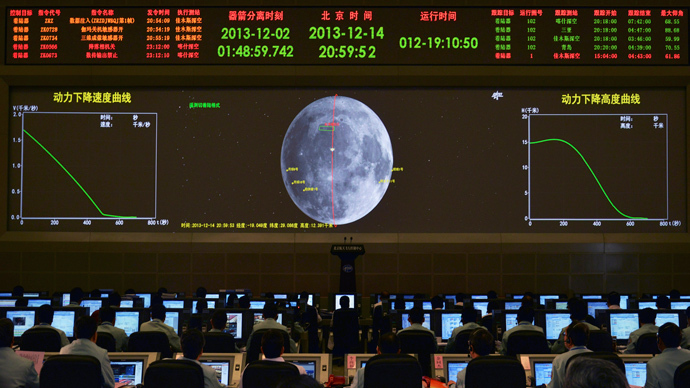 The mission, called Chang'e-3, landed on the Moon on December 14, and was the third successful attempt to soft-land a spacecraft after the US and Russia (at the time of the landing – the Soviet Union). 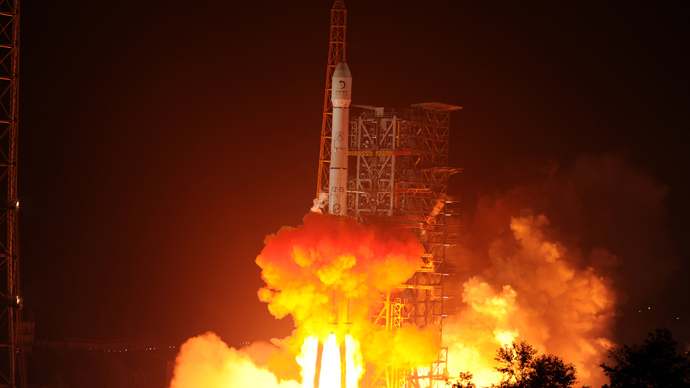 In total, 130 lunar probes have been carried out, with a success rate of only around 51 percent, Wu Weiren, chief designer of China's lunar probe program, told Xinhua in an interview.